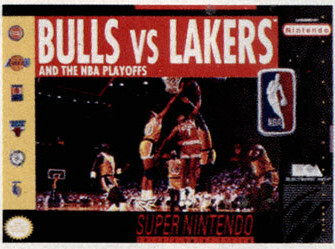 Bulls vs. Lakers was an unreleased game by Electronic Arts. It appears to have been close to completion. 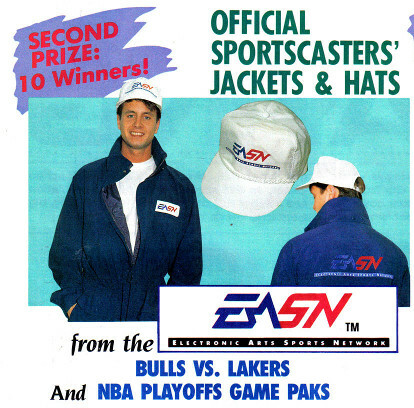 Bulls Vs. Lakers was shown at the Winter CES in 1992 by Electronic Arts. 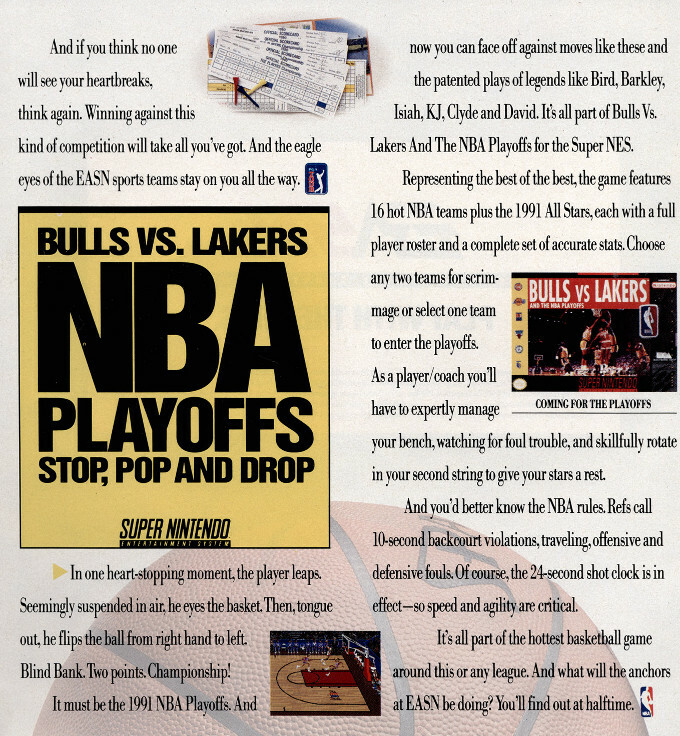 The game came out on the Genesis, but development must have been too slow, and it was canned in favour of focusing on the next instalment of the series (Bulls vs Blazers). Embarrassingly for Nintendo, they were going to give away this game as a prize in the November 1991 issue of Nintendo Power. 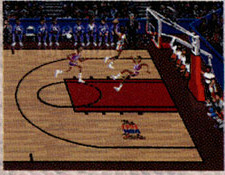 The game must have been close to completion, as it had a prominent advertisement in the February 1992 issue of Gamepro, with complete box art and screenshot. Gamepro mentioned that it was to be released in April 1992. Screenshot of the game. From the Gamepro advertisement. 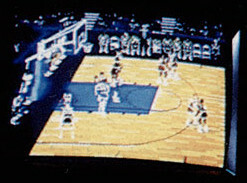 Another screenshot of the game, though this was a picture of the game shown on a TV screen. From the Gamepro advertisement.